tiredoftraffic – Fix Route 15 Now! Route 15 is closed… again. This time near White’s Ferry Road. This has happened during a relatively light traffic time considering many are on spring break. Should we have to deal with this road as-is for another 10 years? Maybe Supervisor Geary Higgins should provide a project plan to get this road fixed. Comments Off on Route 15 – Where Do Our Candidates Stand on Route 15? 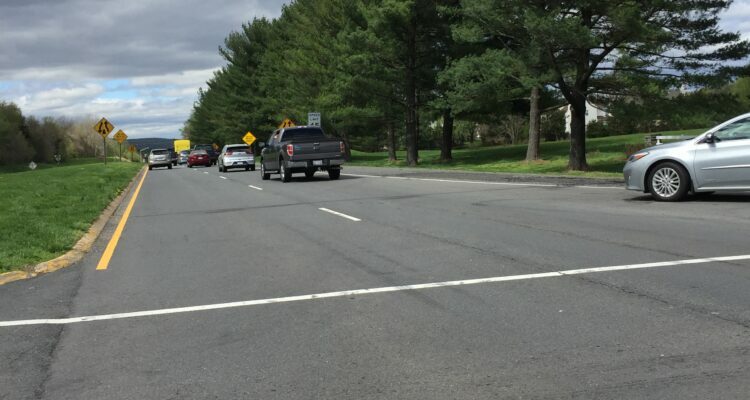 The Northern Virginia Transportation Authority (NVTA) approved funding of $54M last June 10, 2018 to widen 3.5 miles of Route 15 from Battlefield Parkway up to Montresor Road. At the public hearing on May 10, 2018 the opponents to the widening of Route 15 repeatedly advocated for “roundabouts” and NOT widening. This was the same hearing that Supervisor Geary Higgins did NOT attend to advocate for this project, the single- highest ranked road project of the 9 Loudoun County projects due to it’s heavy congestion and danger due to frequent accidents! After having the funding for 10 months, there is still NO project plan for Route 15! The NVTA will revoke this funding and re-distribute it to one of the other regional members (i.e. Alexandria, Arlington, Fairfax, Falls Church, and Prince William city-counties) if there is not a project plan with significant progress on this road. The special interest “no growthers” are counting on these Route 15 funds being revoked by NVTA. Why does Chair Phyllis J. Randall and Supervisor Geary Higgins not present a Route 15 project plan and why did they abolish the Route 15 Stakeholder Committee? Do Catoctin Lives NOT Matter? What are your thoughts? Visit our Facebook page and leave a comment. Our no-growth friends always like to point out how amazing Gilbert’s Corner is at moving traffic. It’s kind of hard to move traffic around the inevitable accidents that will occur in these roundabouts. While this accident is not on the stretch of Route 15 that we are always concerned with, just imagine all the trucks/trailers navigating “Roundabout Hell” that makes its way into so many proposals. Would you want to be next to a trailer like this going through a roundabout? We would hope not but Supervisor Geary Higgins wants to dictate to VDOT what kind of traffic control should be implemented along Route 15 North of Leesburg. This is if it even gets done within the next 10 years. Maybe Supervisor Ron Meyer or Chair Phyllis J. Randall could help the Catoctin District get things done. Geary, why are there no project updates? Geary, why is there still NO project plan? Geary, where is the Safety and Operations Study for the northern corridor? Geary, why did you terminate the Route 15 Stakeholder Committee? Geary, what do you plan to do for Route 15 as a Virginia State Senator? Remember, Geary said: “I do not want to widen Route 15 any more than I have to.” Disappearing is one way to achieve this. Does anyone know where Geary is? Comments Off on Has Supervisor Geary Higgins checked out? Welcome to 2019 and the start of a promising new year! Now that the holidays are behind us, we at FIX Route 15 Now plan on updating the community with where things stand with respect to actions or inactions on improving the Route 15 Corridor from the Town of Leesburg to the Point of Rocks Bridge. A review of what has been accomplished on Route 15 over the past 2 years. When will the County release Kimley-Horn’s next report on Route 15 (north of Montresor Road)? Is there any interest in continuing the Route 15 Stakeholder Committee? When will the County send monthly progress updates on Route 15? Whatever happened to the $110M VDOT SmartScale road funding request for Route 15 improvements (north of Montresor Road)? What funds have been allocated in the County’s Capital Improvement Plan (CIP)? What did the Loudoun elected officials do with the $100M surplus funds from last year? Were any requests made for Route 15 corridor? 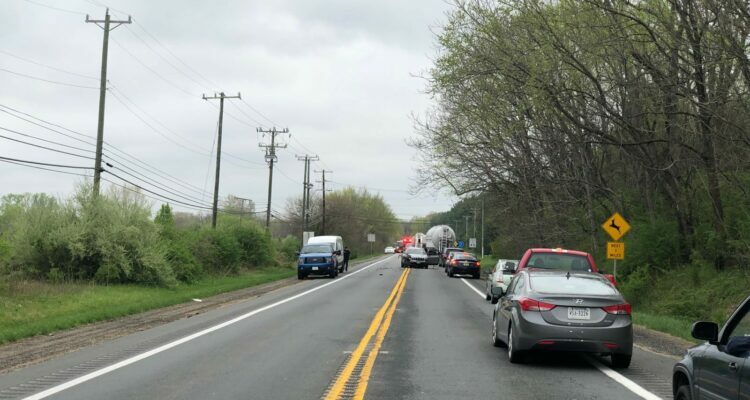 When will the Loudoun Department of Transportation and Capital Infrastructure (DTCI) put out the RFP for Route 15 engineering services to start road widening from Battlefield Parkway to Montresor Road? What have our Loudoun County, State and Federal elected officials done to support Route 15 improvements? Why you should be concerned about the safety improvements along Route 15? Route 15 safety should be everyone’s concern, don’t you agree? Join the conversation on our Facebook page! 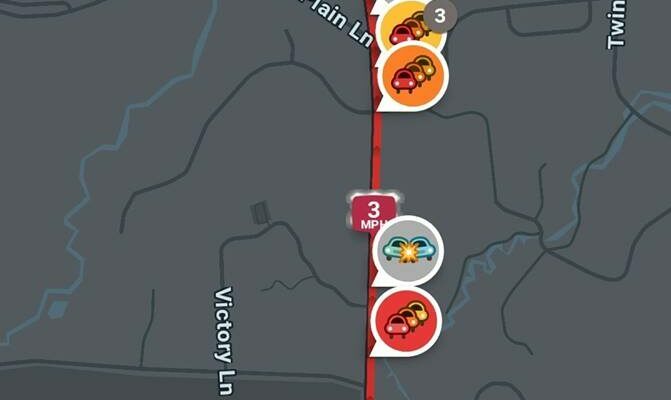 Another day, another Route 15 accident. This time a single vehicle with a utility pole. We are told to “look for alternate routes”, which way? Waterford? West Virginia? Beltway? Helicopter? Ferry (is it open?)? Our government and elected officials owe us an efficient and safe roadway! Let us know what you think on our Facebook page.